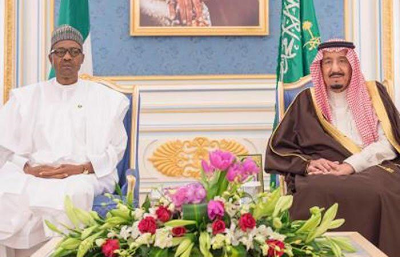 President Buhari this afternoon met with King Salman Bin Abdulaziz Al-Saud, the King of Saudi Arabia. 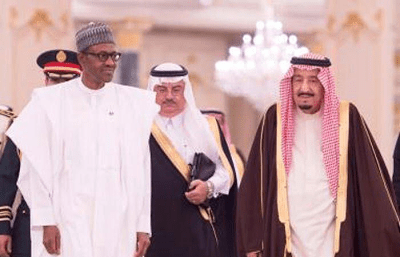 The meeting held at the Royal Protocol, Riyadh, KSA. 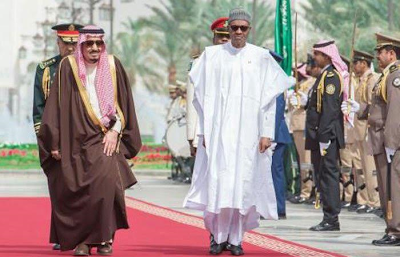 Buhari is currently in Saudi Arabia to discuss the falling price of crude oil and also sought for investors.